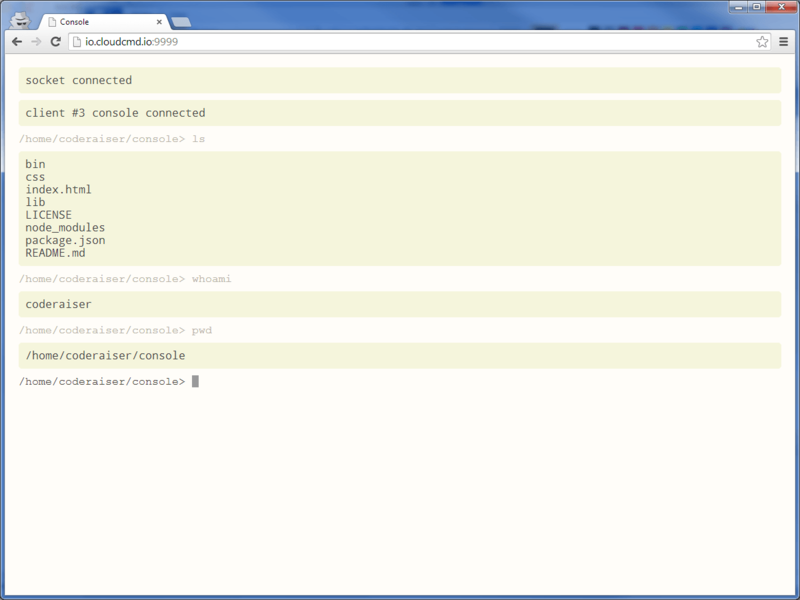 Web console used in Cloud Commander. For more details see Jq-console keyboard shortcuts. shortCuts - object contain big letter and function. Set new text of prompt. Could be used as middleware, or for init Console. Middleware function if there is a need of init socket in another place.